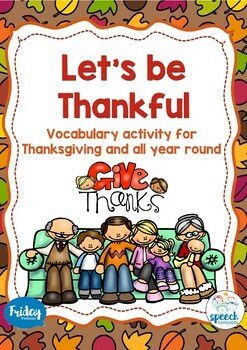 This Thanksgiving themed resource is great for the lead up to Thanksgiving and all through the year. 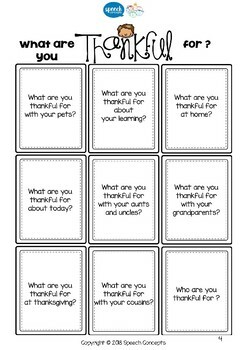 It encourages children to think about what they are thankful for within semantic groups. This is an example of the Friday Freebies which we post regularly throughout the year. Want to get Friday Freebies straight to your mail box? Sign up here.